Yesterday Euro reached a new minimum, but then started a correction, during which I opened one more sell order. The target is still at the local correctional level of 38.2%. 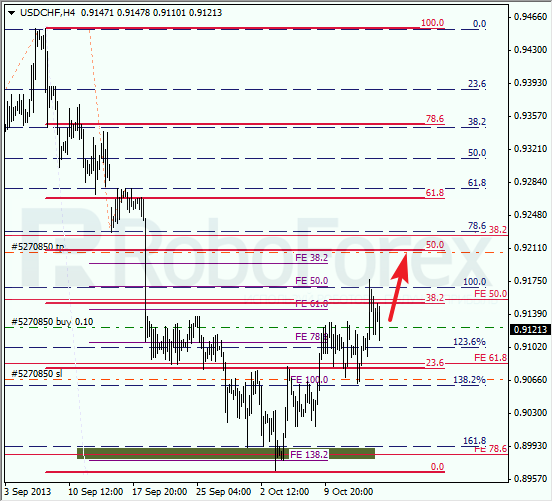 At the H1 chart, the price rebounded from the level of 61.8% and started falling down. The current correction forced the temporary targets to move. We can’t exclude a possibility that the lower target levels may be reached on Thursday. If the pair rebounds from them, the price will start a new correction, at least. Yesterday Franc reached the level of 38.2% and my Take Profit worked. During the correction, I opened one more buy order, this time with the target at the level of 50%. I’ll move the stop into the black as soon as the market starts goring up towards the local maximum. 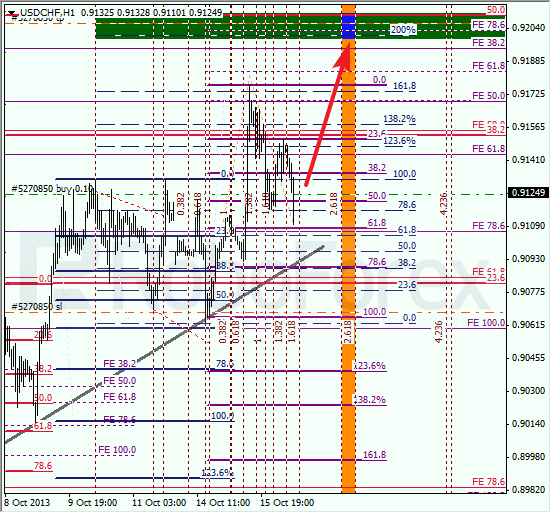 At the H1 chart, the current correction reached the level of 61.8% and right now the price is rebounding form it. The pair may break the maximum quite soon. According to the analysis of the temporary fibo-zones, the bulls may reach their targets on Thursday.